hard not to see these developments as examples of real moral progress. But what is moral progress? 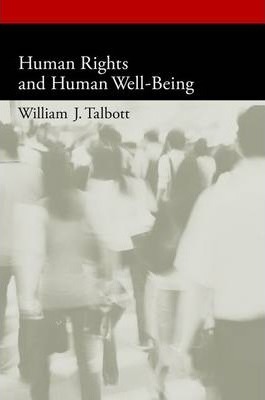 Talbott uses the main principle to complete the project begun in his 2005 book of identifying the human rights that should be universal-that is, legally guaranteed in all human societies. Talbott identifies a list of fourteen robust, inalienable human rights. Talbott contrasts his consequentialist (though not utilitarian) account with many of the most influential nonconsequentialist accounts of morality and justice in the philosophical literature, including those of Ronald Dworkin, Jurgen Habermas, Martha Nussbaum, Phillip Pettit, John Rawls, T.M. Scanlon, Amartya Sen, Judith Thomson. William J. Talbott is Professor of Philosophy at the University of Washington, where he has been teaching since 1989. He has published articles in moral and political philosophy, especially the philosophy of human rights, philosophy of law, epistemology, and rational choice theory. This is the second of two volumes on human rights. The first was Which Rights Should Be Universal? (OUP, 2005).